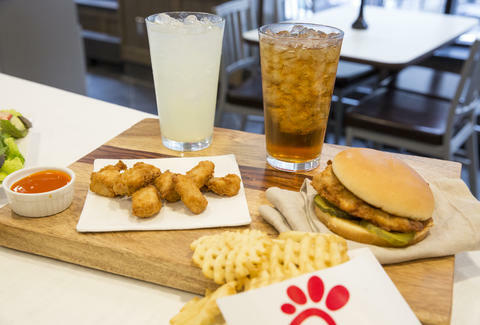 Chick-fil-A is the Ned Flanders of fast food: Maybe not the first one you'd invite to a party, but you bet he'll make sure everyone's hydrating properly. In Chick-fil-A's case, that meant bringing sandwiches and water to a bunch of miserable travelers on its own day off. Thank goodness for the Ned Flanders of the world. As you may have heard, a fire at Hartsfield-Jackson Atlanta International Airport caused an 11-hour blackout on Sunday, stranding travelers for hours and resulting in more than 1,000 canceled flights. The Georgia-based fried chicken sandwich chain managed to get enough staff together to hand out over 2,000 meals, including those supplied to stranded travelers at the Georgia International Convention Center. As to why Chick-fil-A is closed on Sundays -- basically it's to give workers a day to spend with friends and family. The Atlanta airport is the world's busiest, so any day without power there is a disaster. This may not have been a Christmas miracle, but it was certainly a nice thing. James Chrisman is a News Writer at Thrillist who has never helped anyone in his life. Send news tips to news@thrillist.com and follow him on Twitter @james_chrisman2.